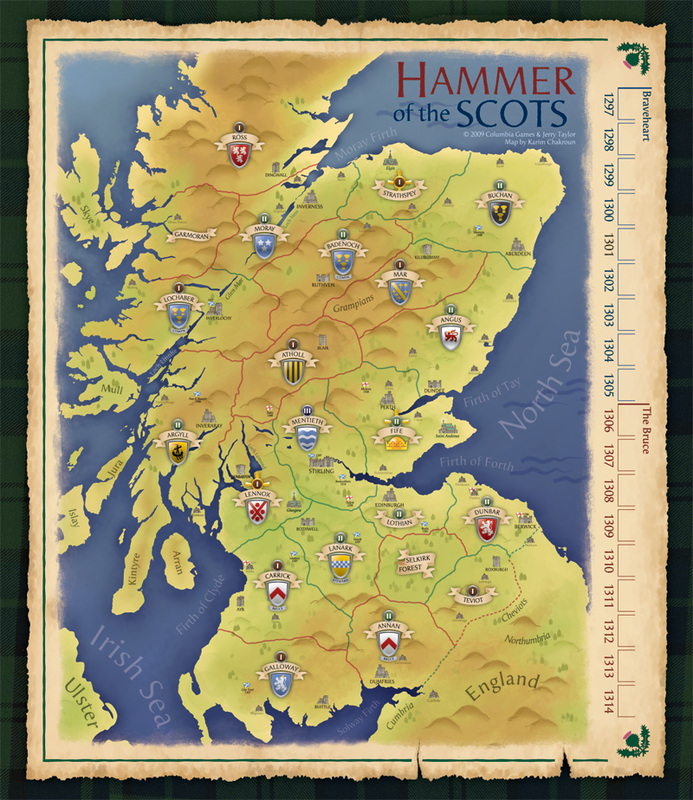 Hammer of the Scots is now in its third edition with a new map. The other components are the same as version 2. Hammer of the Scots has won the International Gamers Award (2003). A simple but deep game system joins with attractive components and historical flavor to create a wargame that anybody could enjoy.